The annual New Year's Eve Fireworks display is an impressive sight. They cram enough firepower for an hour-long display into 12 explosive minutes, lighting up the sky for miles around. This year's display will again be started by the chimes of Big Ben, which has remained silent since August 2017 while undergoing renovation. Watched by 100,000 people, the build-up includes DJs spinning some great tracks from around 9pm. But the big event begins after Big Ben chimes midnight (it will still bong for New Year's despite being silenced for a major renovation) when the dazzling 12-minute show of world-class pyrotechnics is set off to a special soundtrack of the year's top tunes. DJs keep playing until the crowds head home. If you can't get tickets, it's worth noting that hotels within the ticketed area have entry passes for their guests. What are the best dining options near London New Year's Eve Fireworks London? London New Year's Eve Fireworks gyms, sporting activities, health & beauty and fitness. The best pubs near London London New Year's Eve Fireworks. 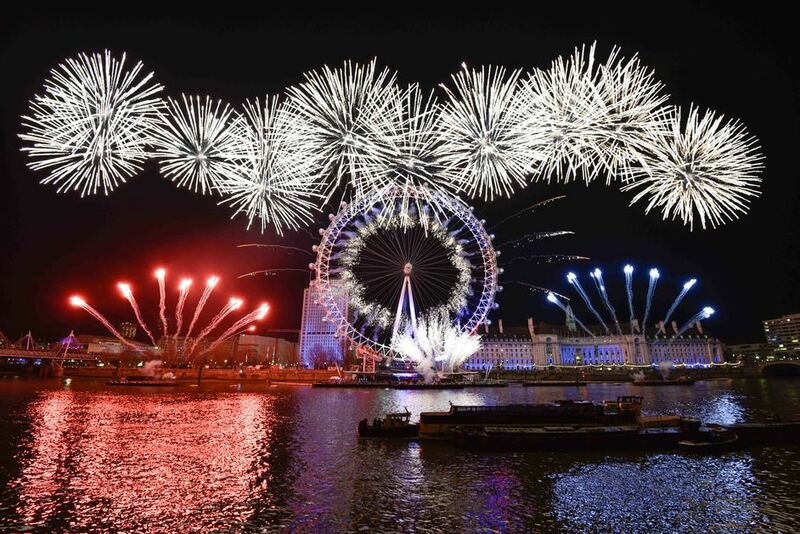 London New Year's Eve Fireworks clubs, bars, cabaret nights, casinos and interesting nightlife. Where to have your meeting, conference, exhibition, private dining or training course near London New Year's Eve Fireworks. From cheap budget accommodation to luxury 5 star hotels see our deals for London Eye hotels, including Park Plaza County Hall Hotel London from 88% off.